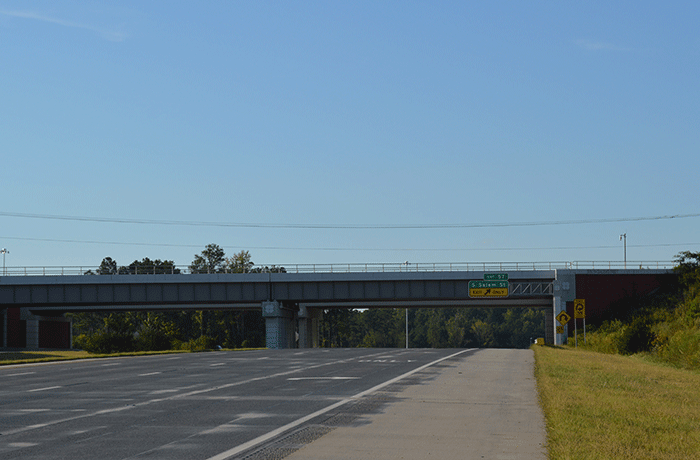 As part of the third phase of the first toll road in North Carolina, the Triangle Expressway, TGS provided design for a new railroad structure and track plans for CSX. In order to span 8 lanes of traffic, a two-span, 239’ long plate girder structure was designed with MSE wall abutments. Two-stage track plans were developed, including a 1-mile detour shoo-fly and a 1-mile final alignment to facilitate construction of the structure. TGS provided these services as a subconsultant on this Design-Build project.